I am not a professional food critic. 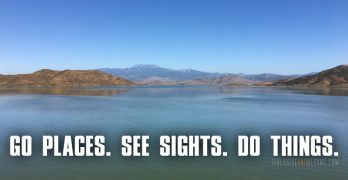 I am just a guy with a blog who writes about places I like so they will get lots of customers and stay in business. Even though I am not a pro, I never let anyone at a restaurant know that I will be writing about my experience. I try to maintain my anonymity even after I write about a restaurant, but it doesn’t always work. This might be one of those times. 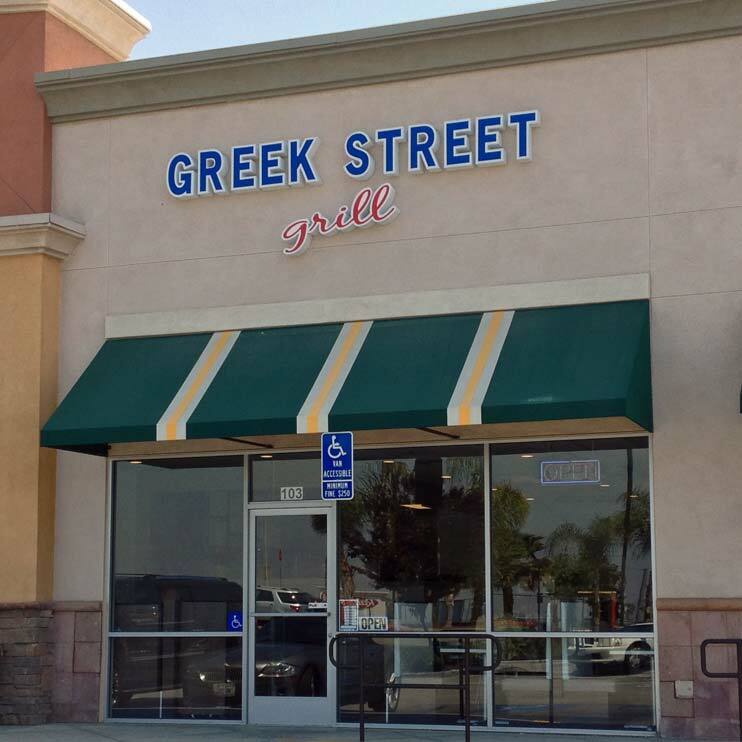 Today I am writing about Greek Street Grill in Riverside, which is one of my new favorite places to eat. 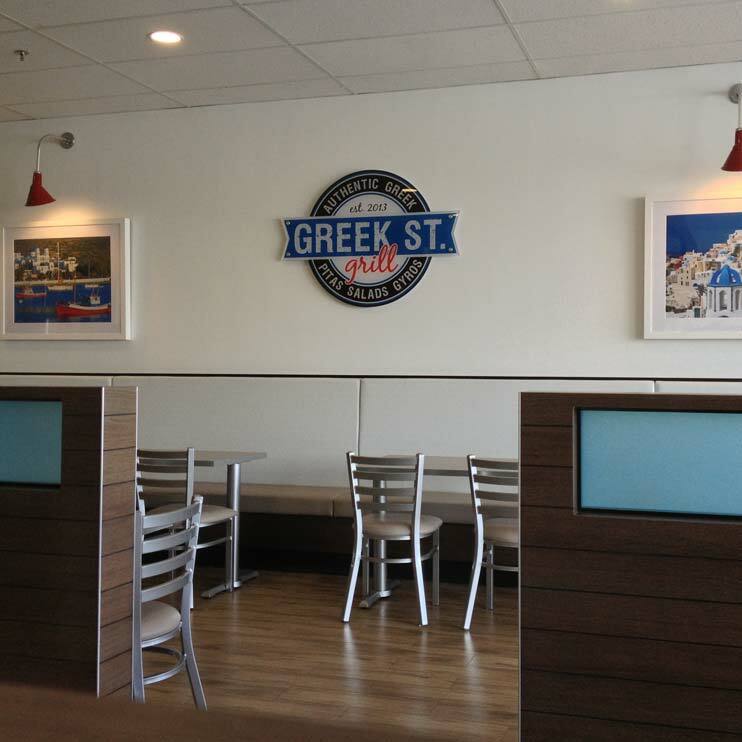 Greek Street opened its doors about a month or so ago, and I have already eaten here probably more than ten times (the first reason my cover might be blown by writing this post). 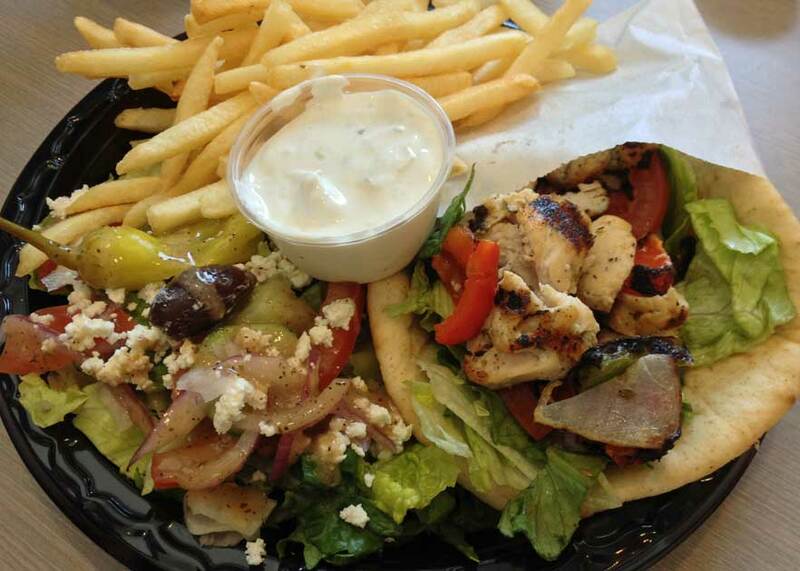 The food is great, the people are very friendly and the interior is clean and modern. 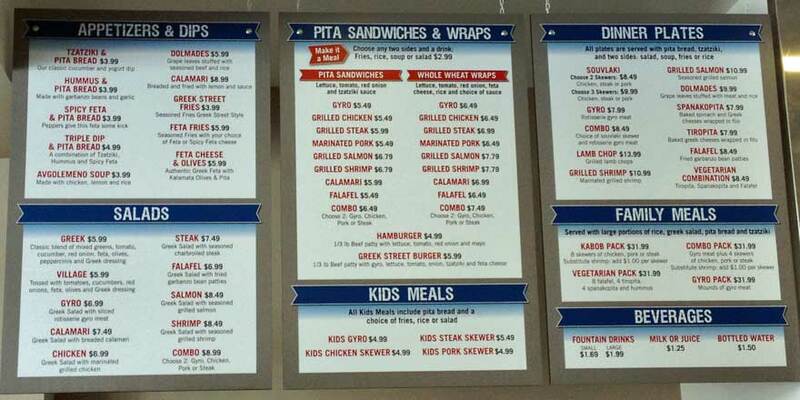 My wife and sons love the gyro sandwiches, while my daughter loves the chicken pita sandwich. 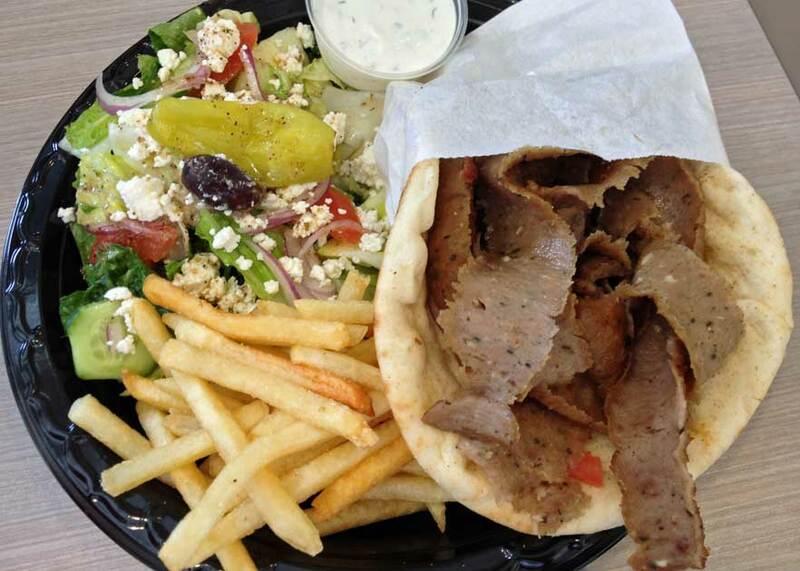 If you don’t know what gyro is or how to pronounce it, you need to come in and try it. I doubt that you will be disappointed. One of my sons has also tried the grilled salmon, which he really enjoyed. In fact, he ate it so fast that I didn’t get a picture. I eat like a caveman nowadays, so I love this place because I can come in and order meat. 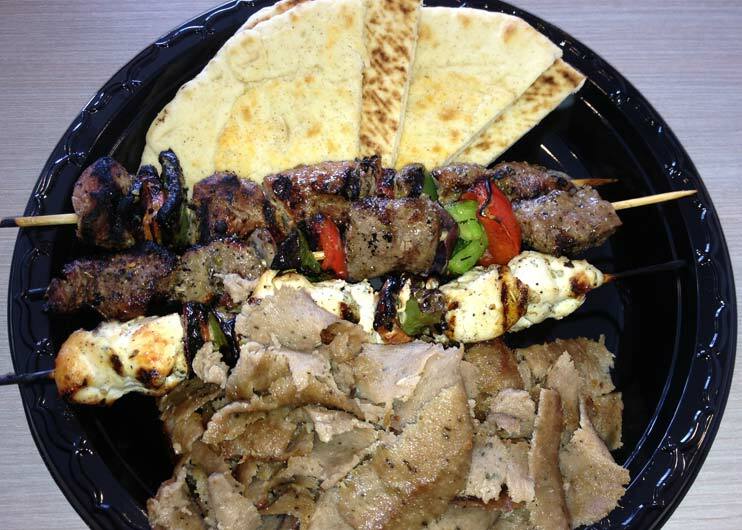 My favorites are the souvlaki (skewers of meat), the gyro meat, and the incredibly tender and flavorful lamb chops (writing about my unique order is the second reason my cover might be blown by writing this post). 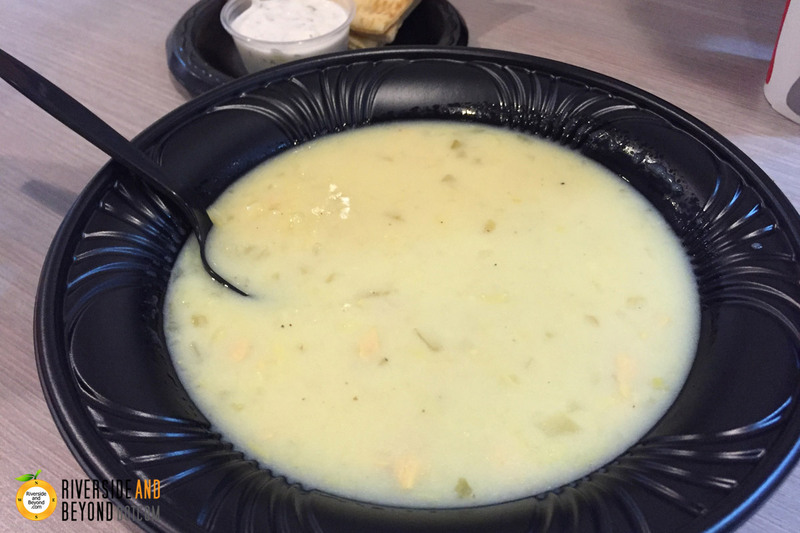 I ate here for lunch today and writing this makes me want to go back for dinner… no joke. Because it is in between the 91 and my home, I have been watching and waiting for this place to open. Now that it has opened, I hope that it never closes. That food looks amazing! If I wasn’t already eating dinner, I’d be tempted to drive in from Costa Mesa!! Nice post about a very good restaurant. Is your blog still linked to urbanspoon.com? I recall reading your blog there, but never saw this post. How about rejoining the site? 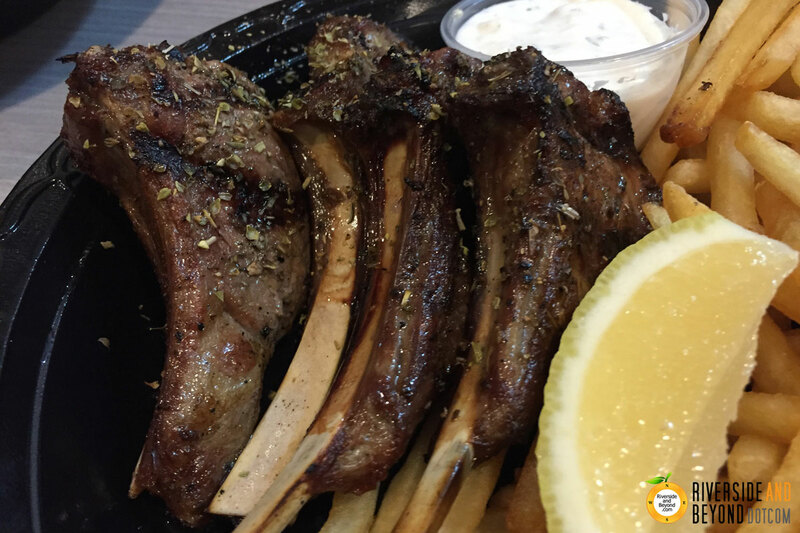 Updated a few pictures… Lamb chops and Avgolemeno soup.